Under the auspices of the Northern Chapter of the Colorado Archaeological Society, and supported by the Colorado State Historic Fund, Far Western Principal Investigator Ryan Byerly and Senior Archaeologist Joanna Roberson, along with Assistant Professor of Biological Anthropology and Paleoanthropology Charles Egeland of the University of North Carolina at Greensboro, report on recent survey and test excavation at the well-known Coffin Bison Kill. The Coffin Bison Kill in Jackson County, Colorado, occupies a topographic gateway between the basin and range country of Wyoming and North Park in the Rocky Mountains. Located in a valley at the headwaters of the North Platte River, which is known as “buffalo pass” to some Native groups, the site is an important point in the cultural landscape of the indigenous people who inhabited Northern Colorado and Southern Wyoming during the Late Prehistoric and Protohistoric periods. It was also a landmark for eighteenth-century Euro-American explorers and trappers. 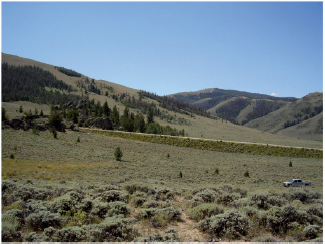 Their work at Coffin Bison Kill revealed separate activity areas including a kill area, utilizing a local rock outcrop as a drive or blind, and nearby camp and/or retooling areas. 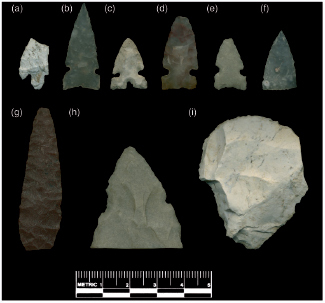 The site’s artifact assemblage included hunting weaponry and processing tools along with a wide variety of projectile points, “Shoshone knives,” and ceramics. At least three bison kill and processing events are evident. These span the late fifteenth to nineteenth centuries and imply that one of the last kill events in the region occurred around the time that Euro-American explorers entered North Park. 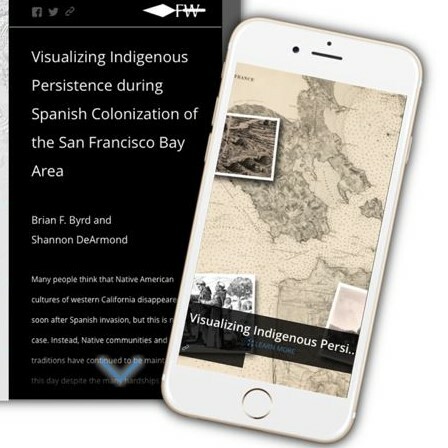 These findings demonstrated that the Coffin Bison Kill has the potential to contribute significant information about local subsistence economies and social interaction during a tumultuous period of Euro-American infiltration. Read the full article in North American Archaeologist 36(4):266–288.